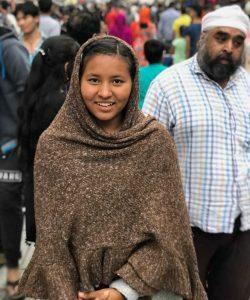 At age 7, Shova Malla ’22 moved into a children’s home. Don’t think orphanage. This is a home, even if her biological family was not near at hand. And this home is far better than what she had experienced. She had been a refugee in India, driven there by a bloody civil war in her home country of Nepal that lasted 10 years, claimed over 14,000 lives, and left 1 million orphaned children. Early in the conflict, her family fled. She and her youngest brother left with her mother and father while her older siblings fled with her uncle. Her parents found menial jobs in construction; her uncle landed at a nongovernmental organization. It was there, by utter chance, that her uncle met a woman who would change the course of their lives: Maggie Doyne. Doyne was an 18-year-old on a gap year working on a project in India when she noticed an influx of Nepalese refugees. Malla’s uncle shared his story with her. Soon Doyne trekked to Nepal and fell in love with the hope of a people devastated by war. Doyne took her life savings and purchased land in Surkhet, Nepal, with the help of Malla’s uncle, and together they built Kopila Valley Children’s Home. Malla was one of the first residents. From there, Malla’s life began to flourish. Doyne became her personal English tutor. Over time Doyne’s hard work and passion raised enough donations through her foundation, BlinkNow, to build a school, health clinic, safe house, and women’s center. For Malla, it meant the return of her parents and siblings. It meant the return of daily health and safety. It meant the return to normal life—chores, school, and meals. Today, Kopila Valley is home to over 50 children and school for 350 students as well as a center for many other basic needs for hundreds of people. “My family has grown to include so many,” says Malla. That family soon grew by one more. 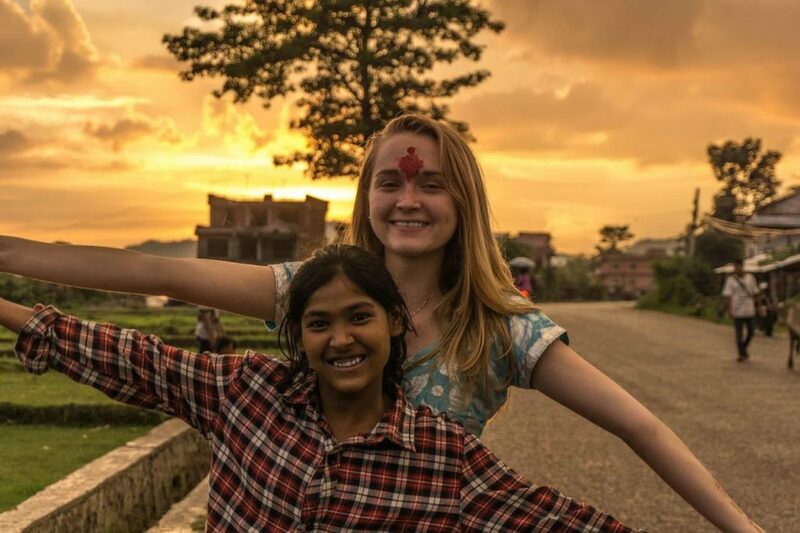 As Malla lived her life at Kopila, across the world in New Jersey, Thea Dekker ’22 learned about BlinkNow. “My mom came home one night raving about this 19-year-old who was changing the world,” says Dekker. As a typical teen, Dekker didn’t believe her mother … until she met Doyne. “She was so warm, humble, and wonderful,” says Dekker. At 16, she boarded a plane with her mother and sister and flew to Nepal to spend one month at Kopila Valley. Dekker’s mother had become chief of operations at the organization, which prompted the trip to Nepal. That summer Dekker met Malla. That summer Dekker led a girls’ empowerment group. That summer visit turned into annual summer visits. Dekker was terrified when she walked into a room of 12 teenage girls to start Kopila Valley Girls’ Club. But she flourished. She developed activities, like journaling, self-esteem exercises, communication strategies, and workshops on culturally taboo subjects like menstruation. Dekker even took on fundraising challenges. It made the girls giddy with excitement, which is part of the joys of sharing a home—navigating the thrills, sorrows, frustrations, forgiveness, volume, and patience that is love. Having spent summers together for years, Dekker and Malla were thinking about their journeys after high school. Dekker was accepted to the College as a member of the Class of 2021, but she deferred. 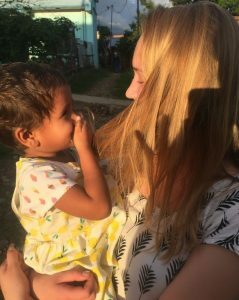 She took a gap year that started in Nepal and then moved to a three-month program in Myanmar and another three months in Spain. 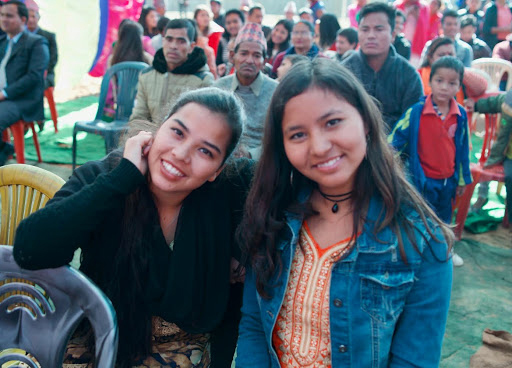 While Dekker trekked, explored, and worked, Malla was back in Nepal waiting to hear from the College on her early-decision application. “I was so confident when I applied, but as you wait and the decision gets closer, you worry,” she says. Now both are on campus, navigating a new family and culture. Culture shock is nothing new. When Dekker first arrived in Nepal, the culture shock was immediate. She noticed new smells, cows in the road, dogs everywhere, and the lack of traffic laws. On College Hill, Malla notices a neighborhood of houses but no people gathered outside them. She wants not for electricity, hot water, cold water, and drinking water. And options at the grocery store have altered her understanding of seasonal eating. What is most shocking is the sense of family. “I was one of Maggie’s first kids,” Malla says. While she has a mother and father, and a guardian in her uncle, she still she sees herself as one of Maggie’s children. Family is her home, and her home is her people. Maybe it is her college peers who will soon learn how family is more than the people you see at break week.